Yes, the beloved comic book store is closing down with its last day being April 1st. Until it closes it's 50% off everything in the store, so if you want to pay your final respects and grab a comic or pop culture t-shirt, now is the time. I've been a fan of the store since I was able to drive to it. It was probably the largest comic book store I had ever been too when I first wandered in and was in awe of it. Over the years, I've covered so many numerous events from in that store. Signings, special events, art shows, comedy shows. Heck, I even won a video game themed show in the back. Watched a grown man so fat his chair broke laughing at The Simpsons in a Stonecutter's meeting. See it change over time with so many bad ideas that didn't work like taking up floor space for podcasting. Or that other time buying the building next door, cutting into that wall from that building, so that DJ's could play tunes from next door, then boarding up that wall when it didn't work out. Man, it was poorly run with ideas, but the staff and look of the place was so cool. Nerdmelt Theater is also done with a few remaining shows you can see, list here. It was probably one of the worst places physically to watch anything, but still it brought in the comedians. 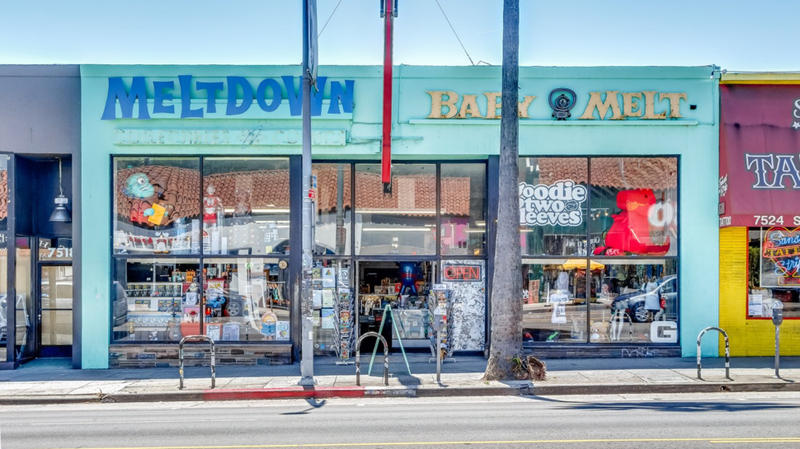 In a letter to fans of the store, three reasons with no clue as to what were given, but looking online you can see the city of LA basically kicking out the business on the street so it can be turned into mixed use shops and housing. Screw that, we could have kept or funky comic shop. 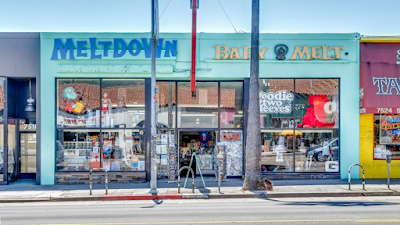 Good-bye Meltdown, thanks for all the memories and comics!